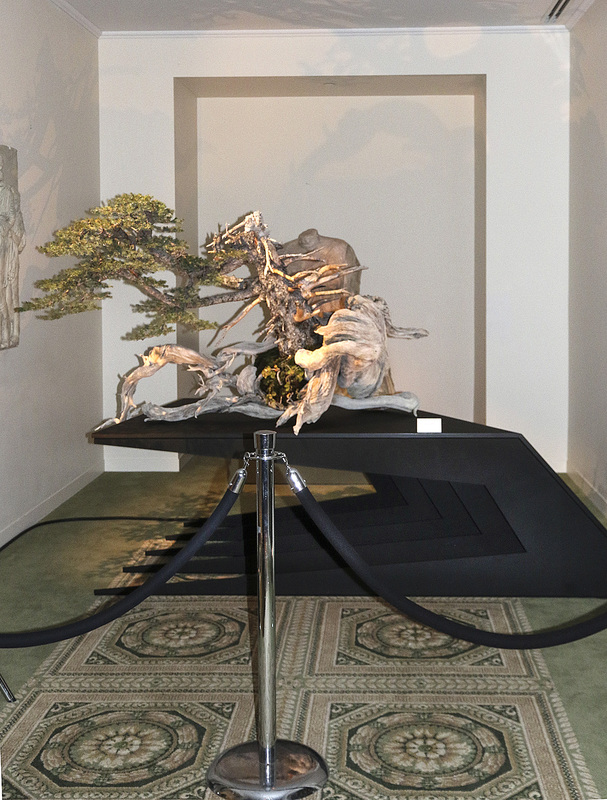 The inaugural Artisans Cup Exhibition was held at the Portland Art Museum on September 25-27, 2015. 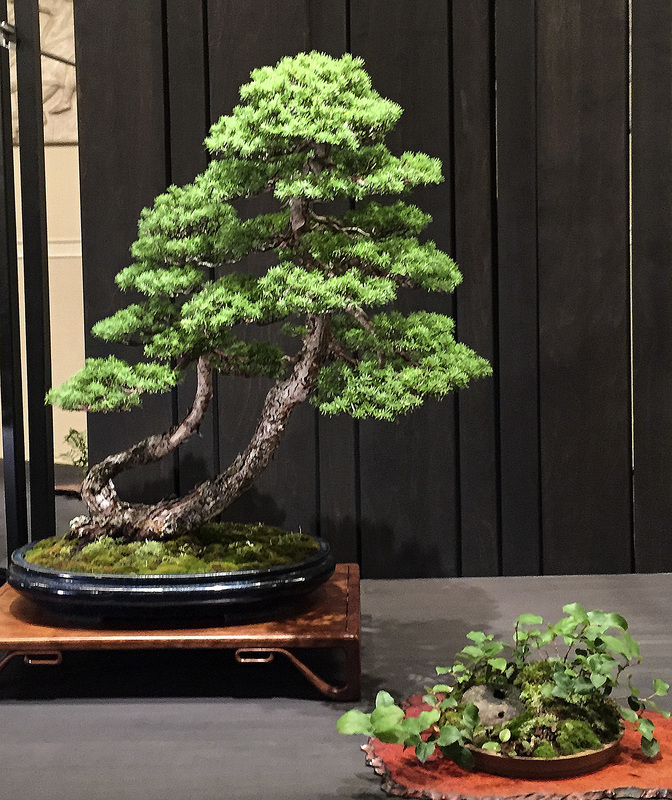 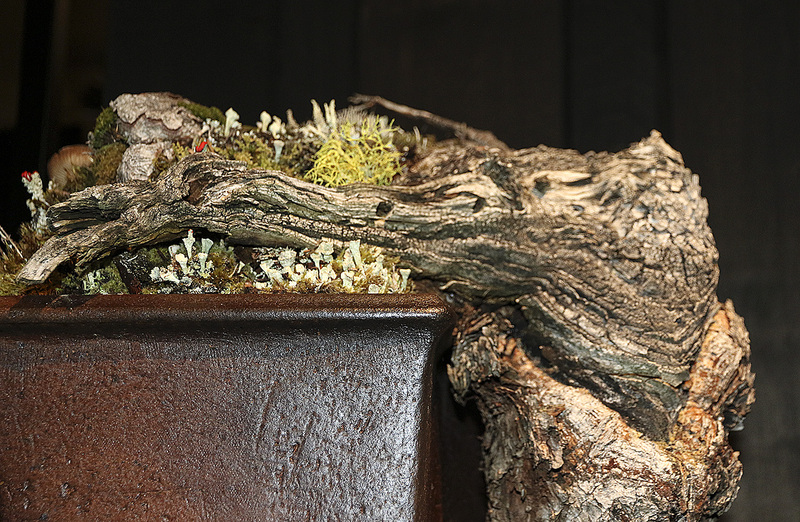 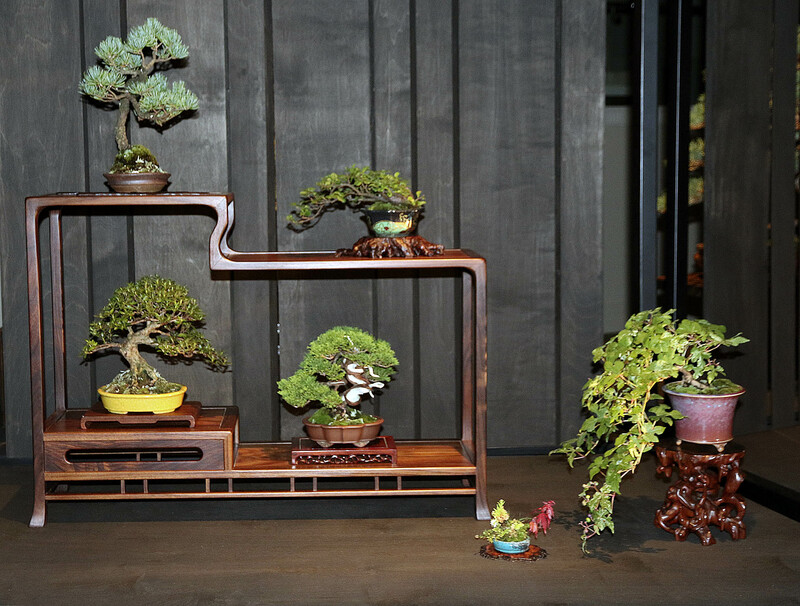 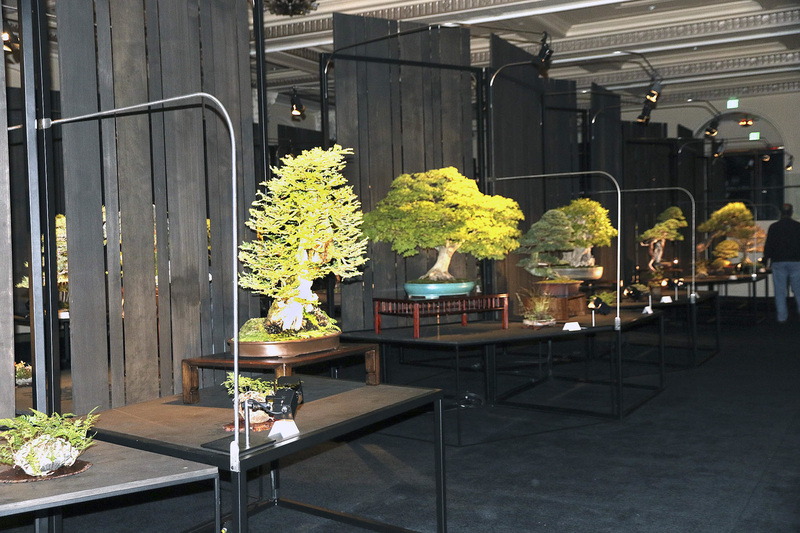 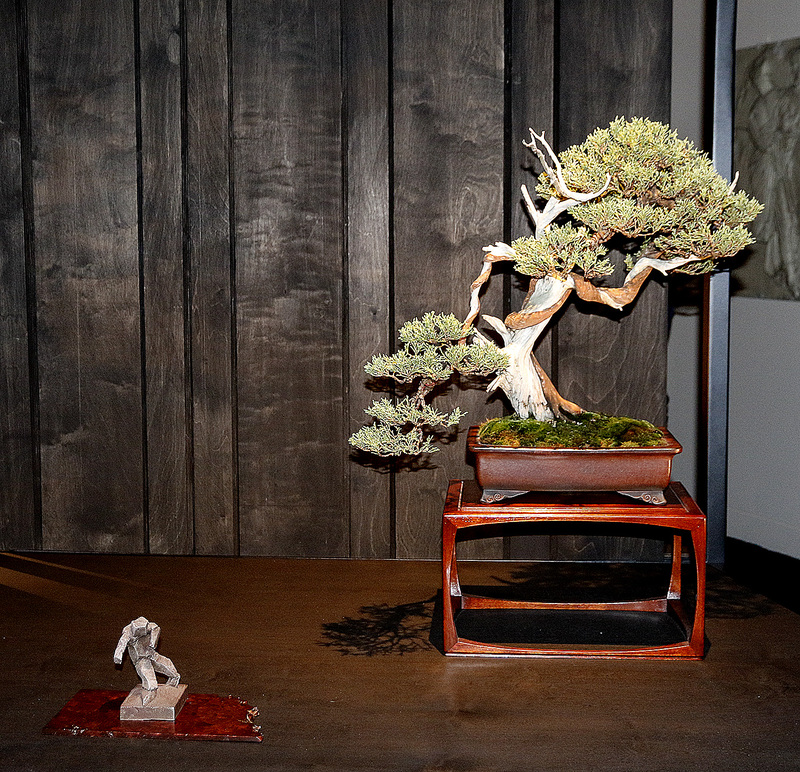 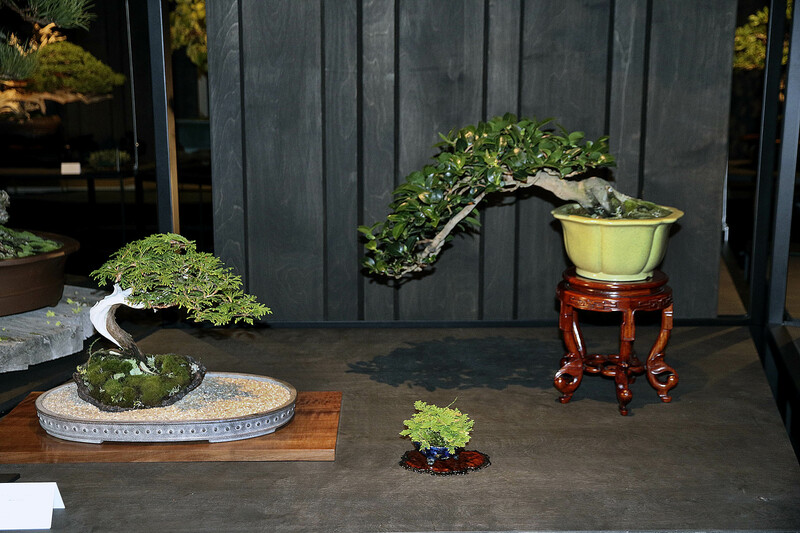 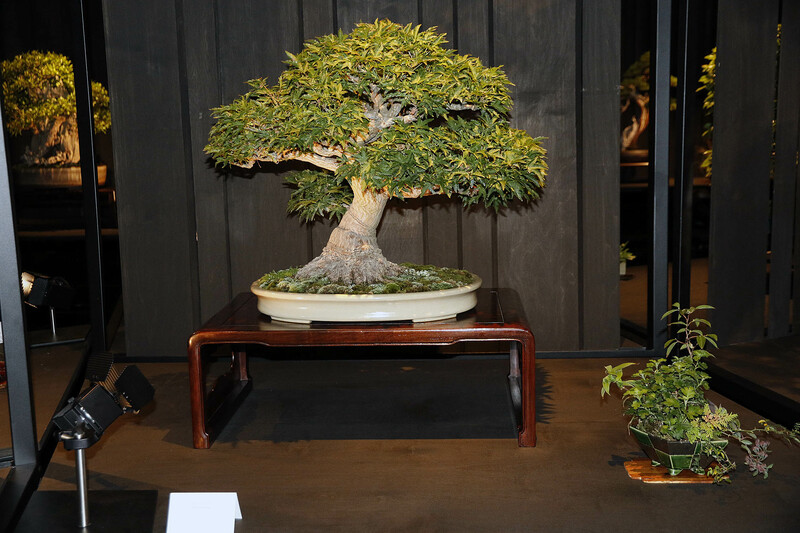 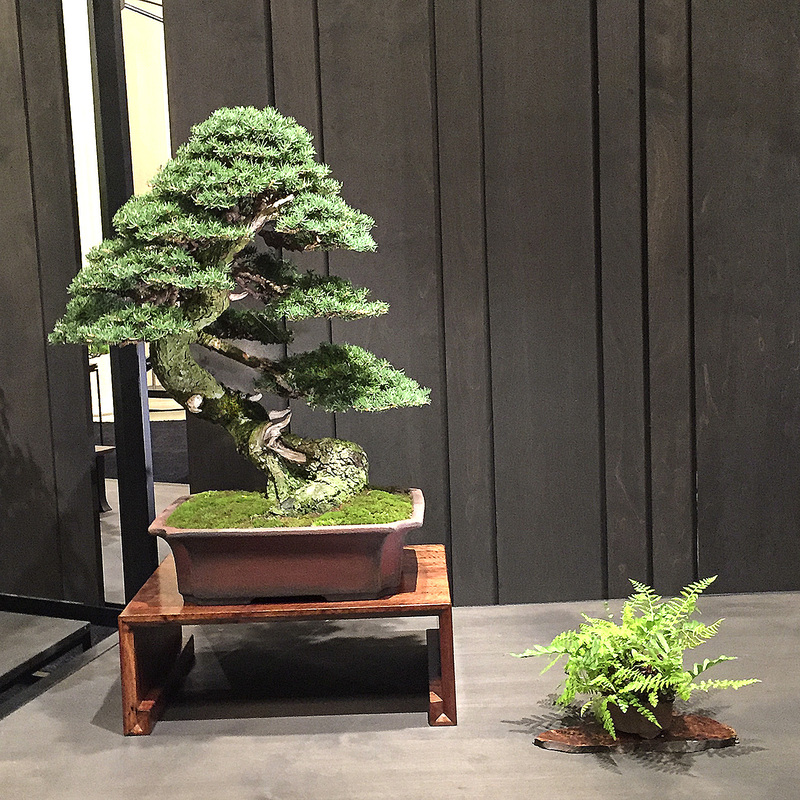 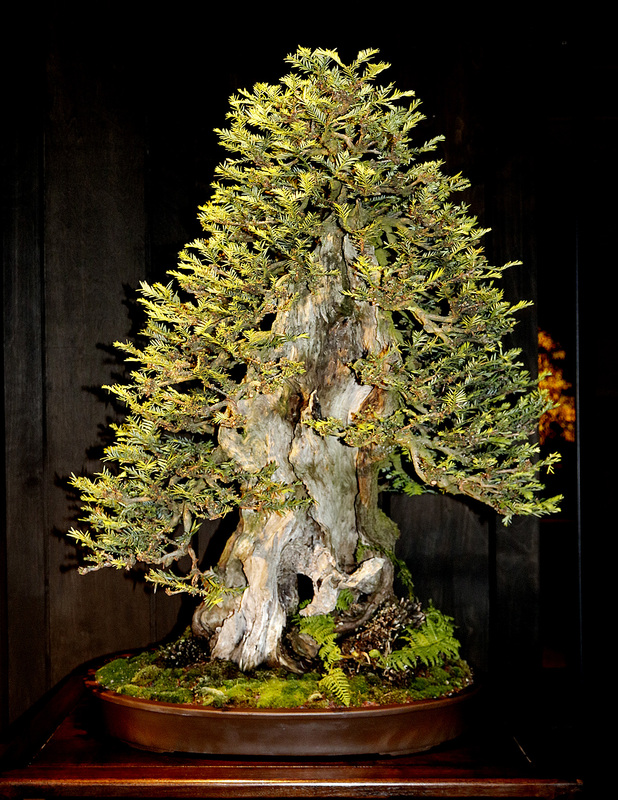 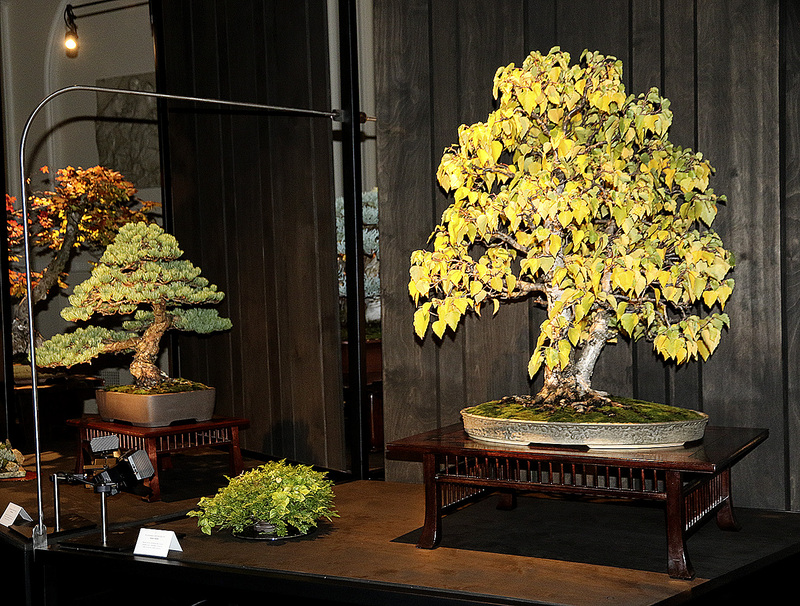 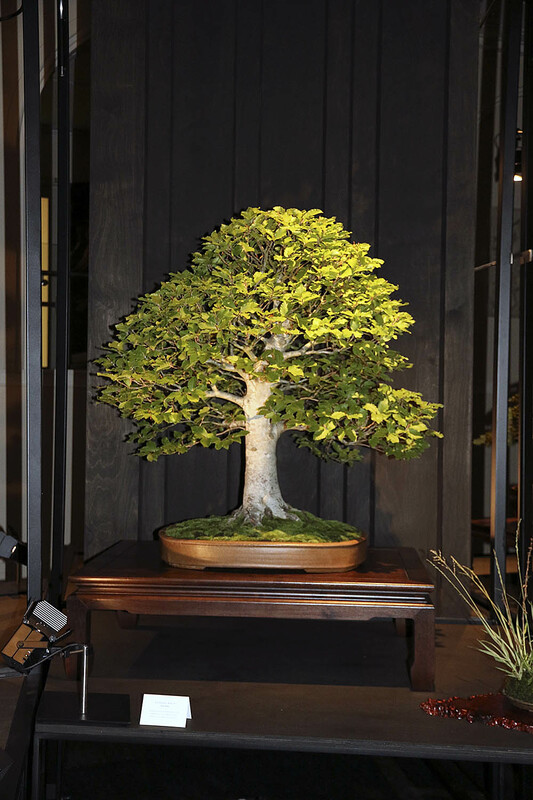 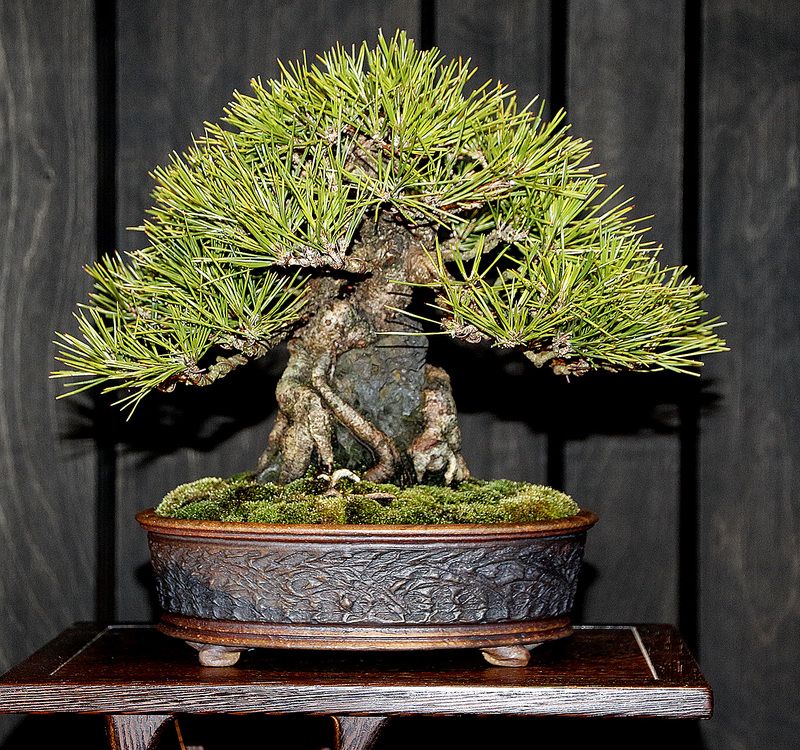 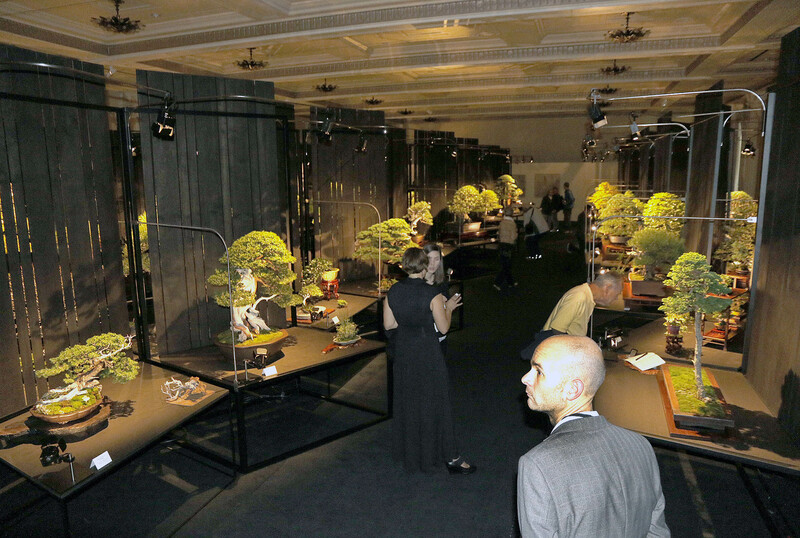 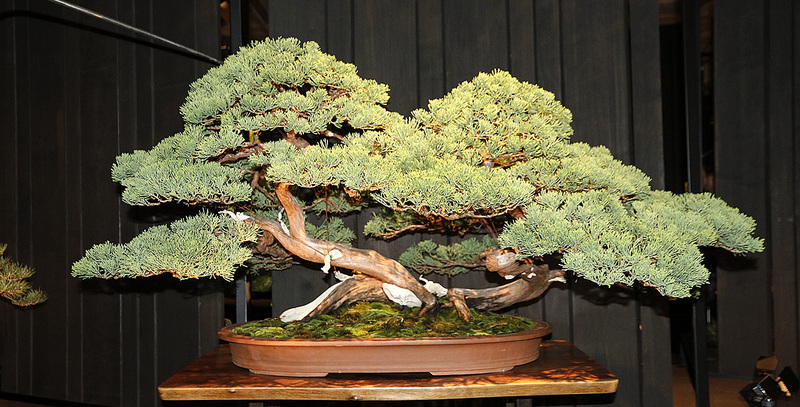 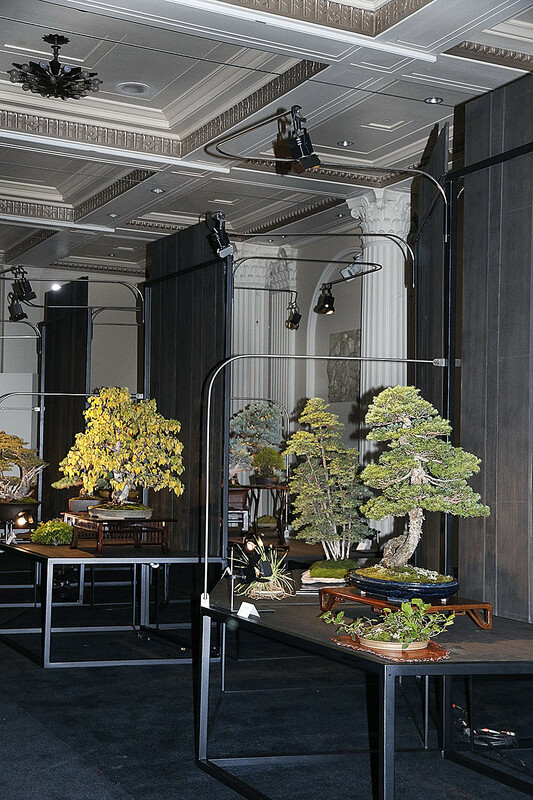 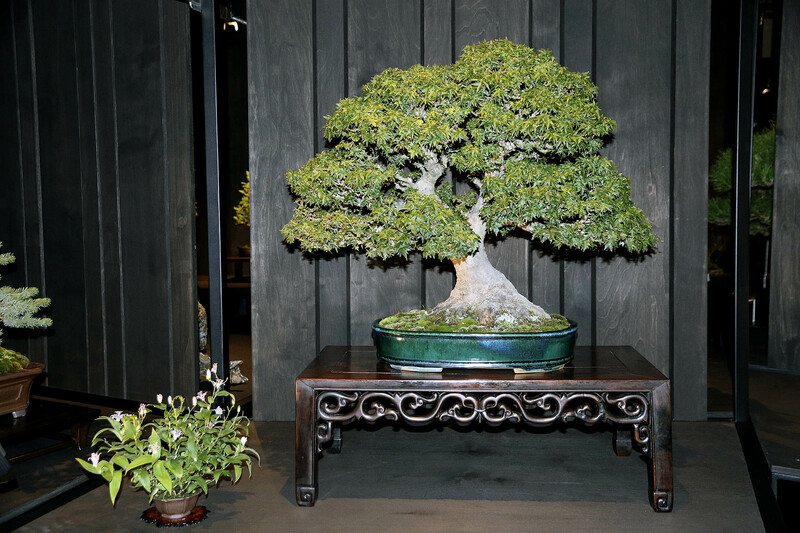 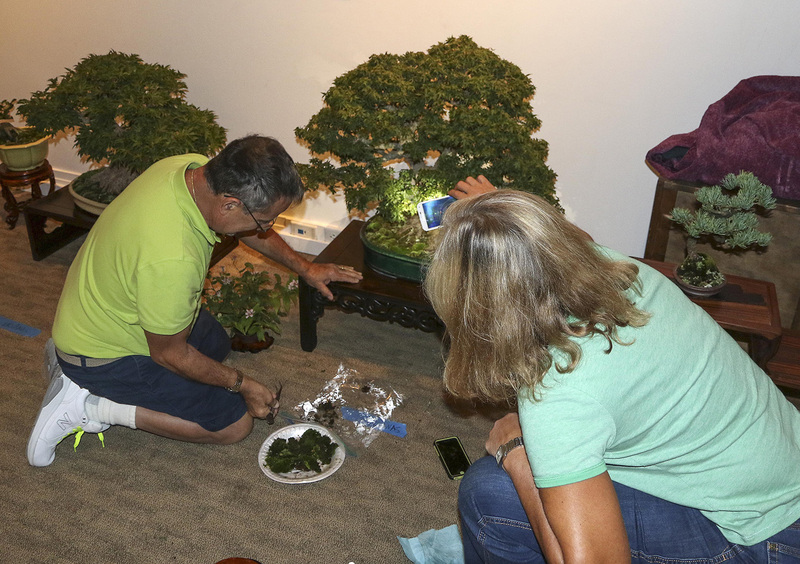 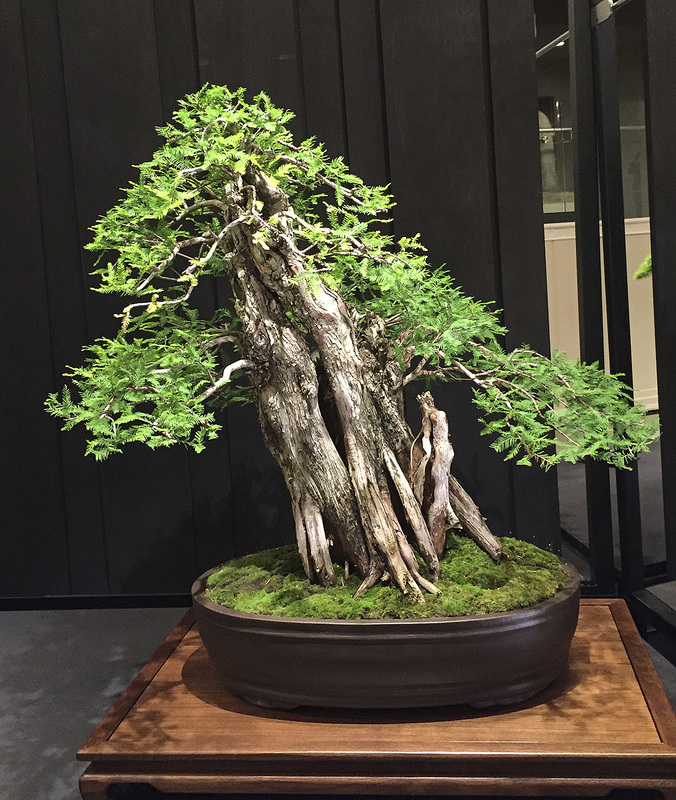 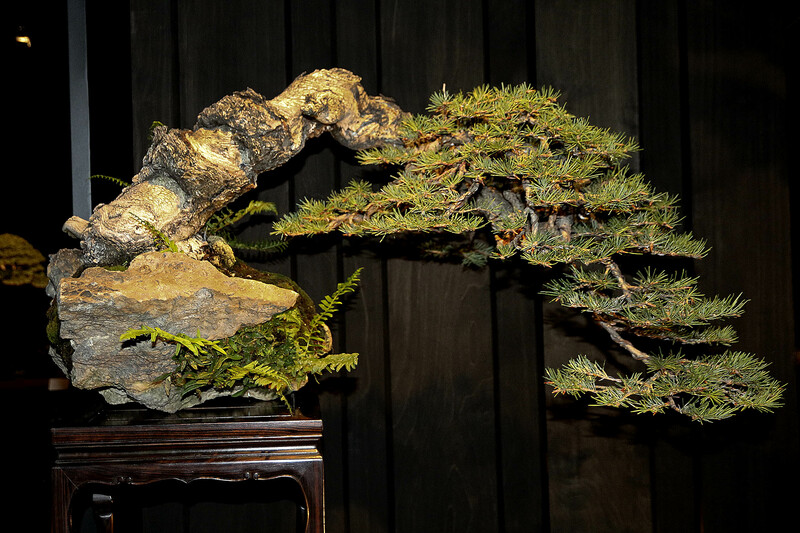 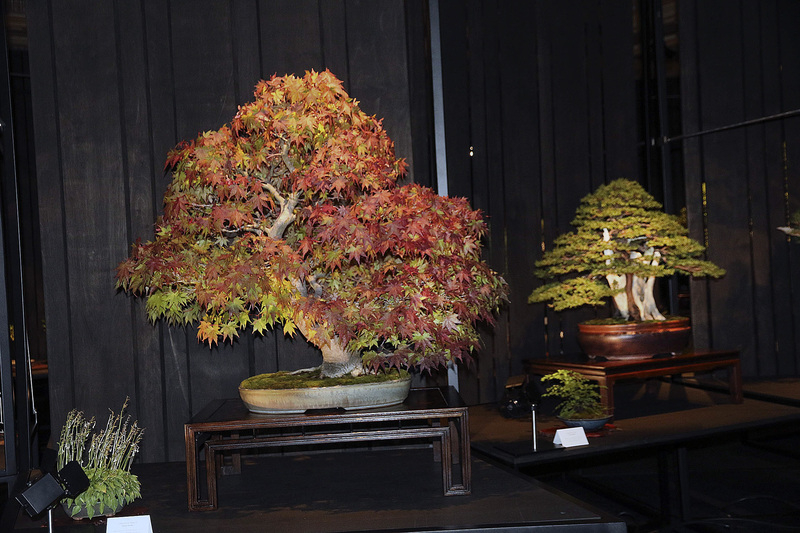 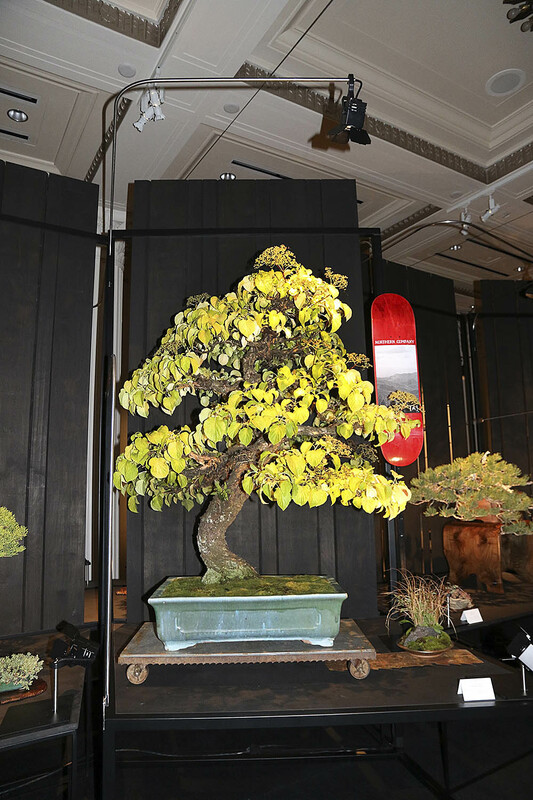 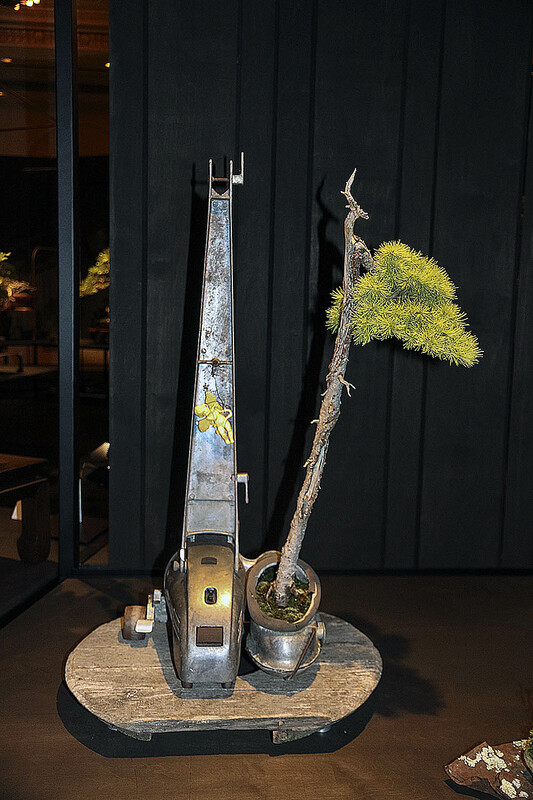 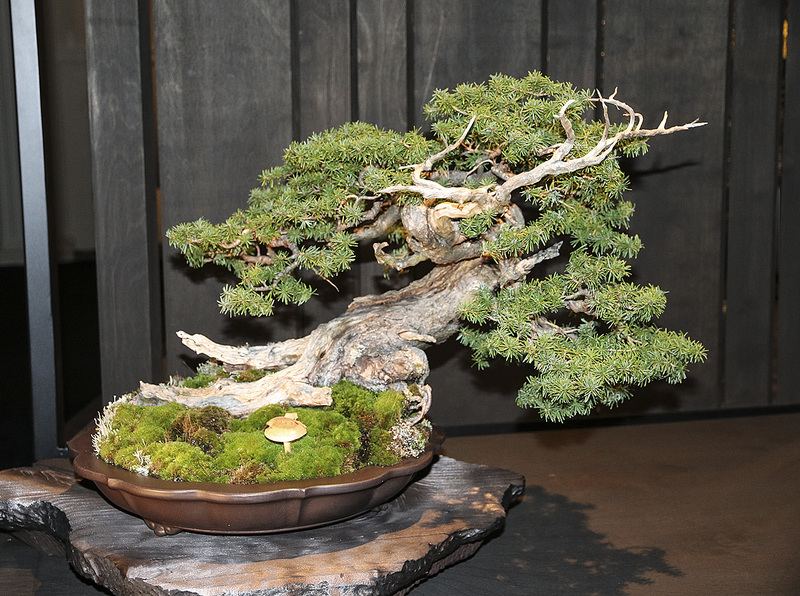 The well attended and dramatic show of 72 exhibits featured nearly 100 individual trees, if all the shohin and three point bonsai are counted. 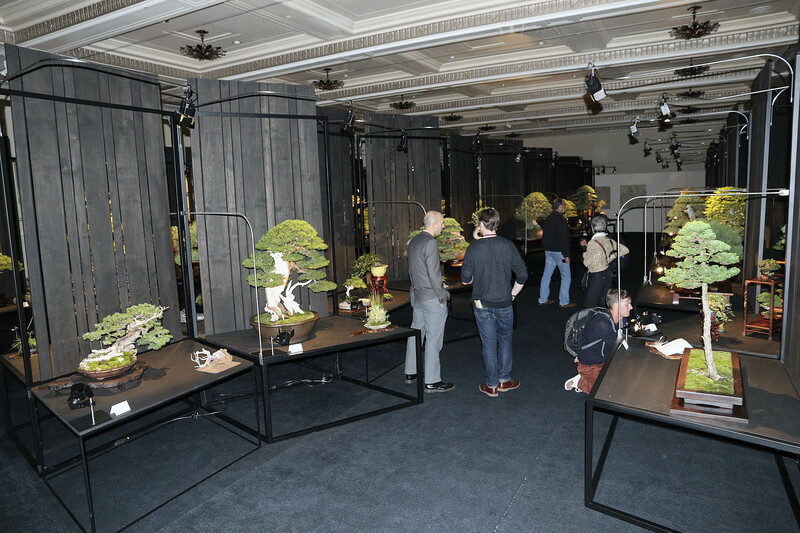 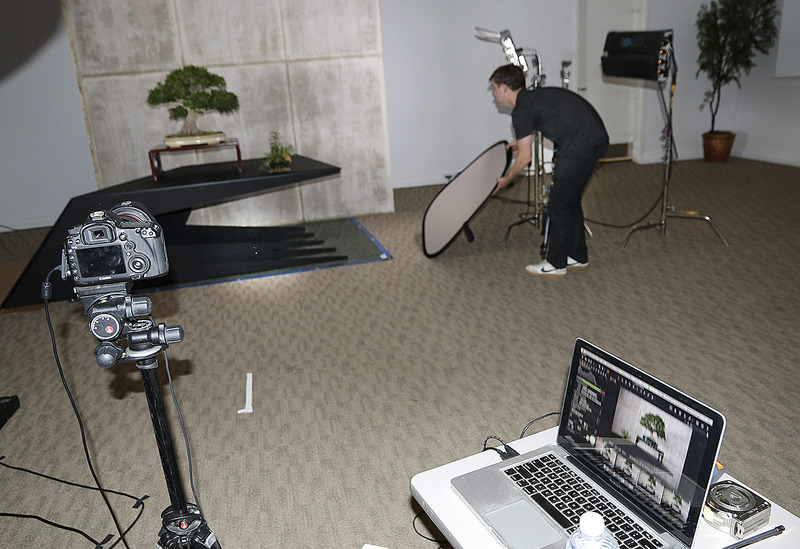 The black unique metal and wood individual tables were professionally designed and installed by a fabricator. 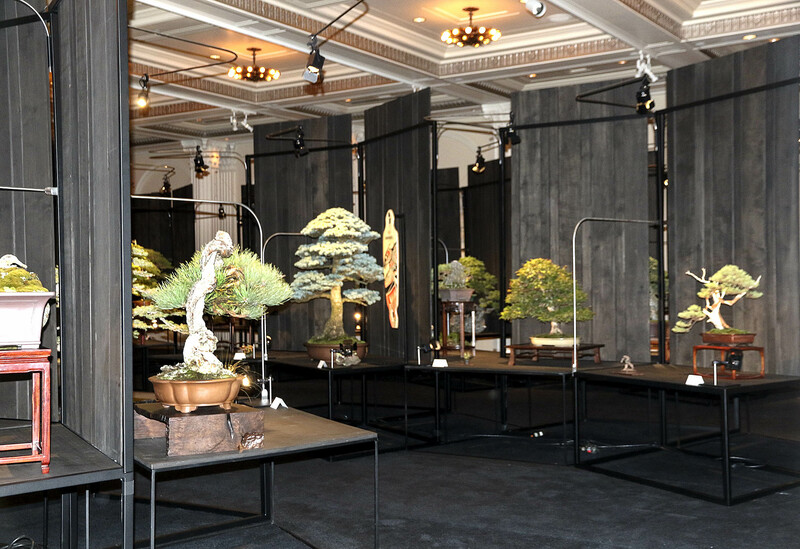 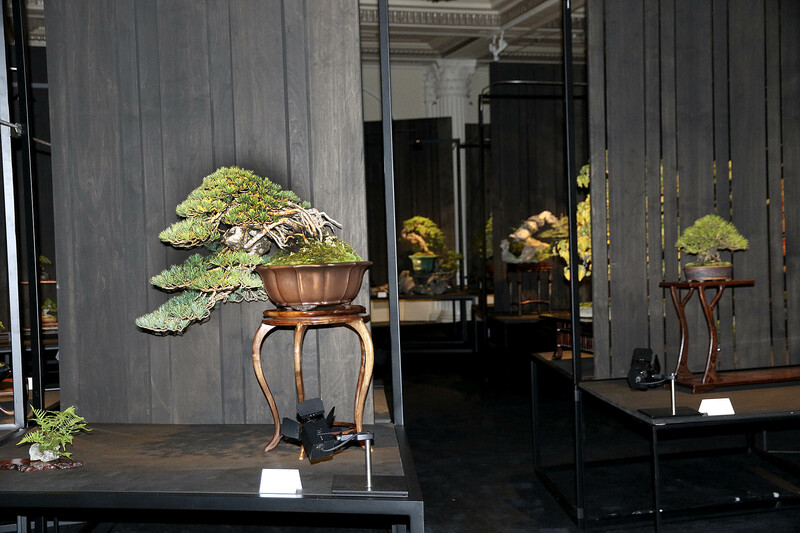 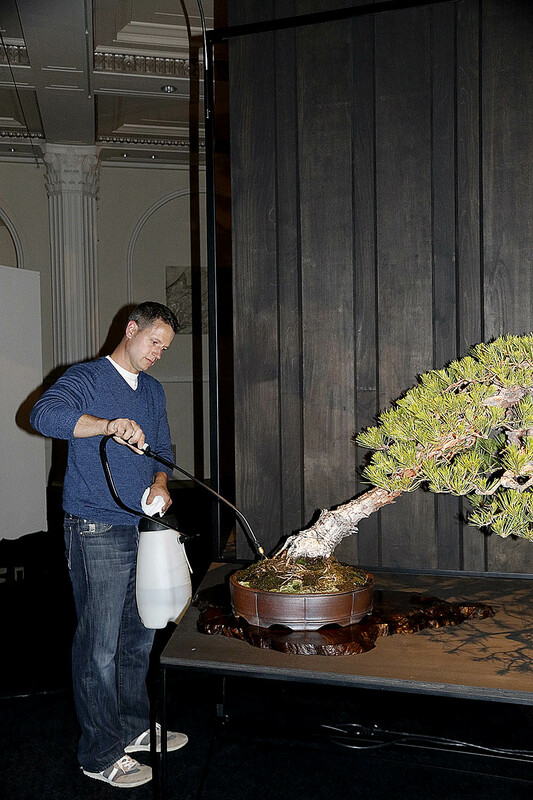 The exhibition gallery was darkened and was only lighted by two small lights adjusted by a professional photographer to highlight the focal point of each bonsai display. 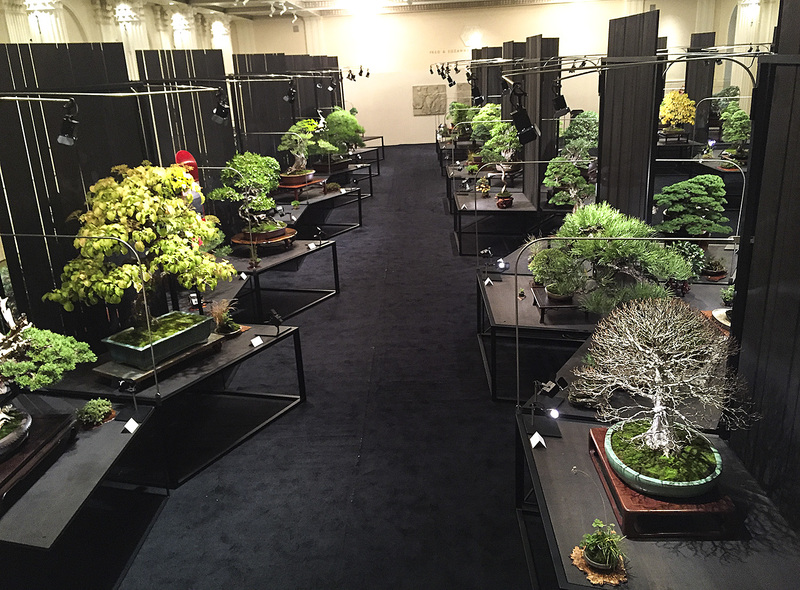 The successful Artisan Cup exhibition was organized and tightly controlled by Chelsea Neil. 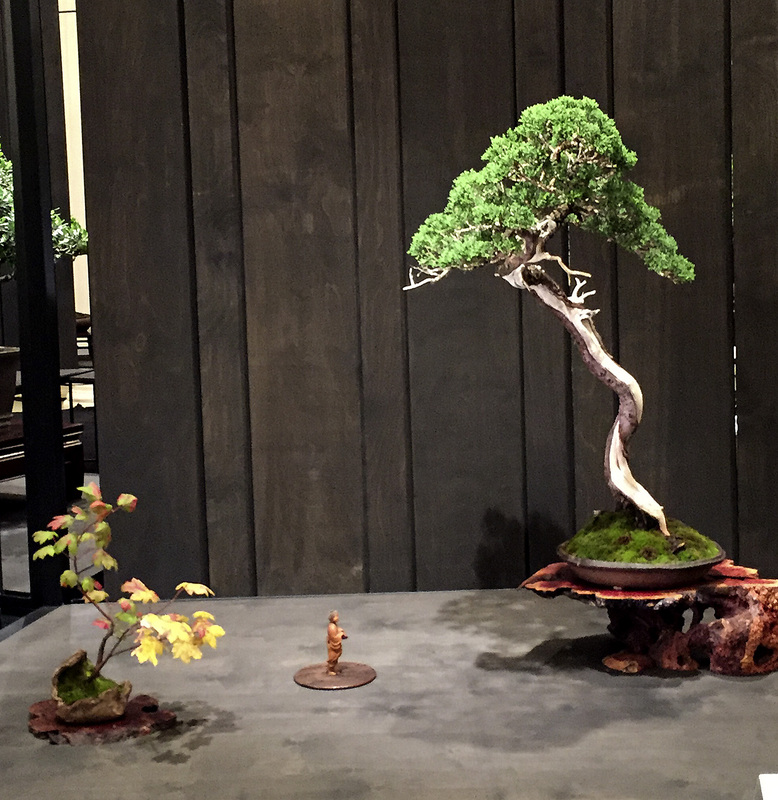 Congratulations to Ryan and Chelsea Neil, sponsors of the Artisans Cup Exhibition.